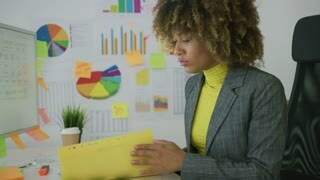 Search Results for "businesswoman suit"
Hardworking businesswoman in elegant suit sitting at working desk in office and looking through papers in files with data. Confident professional salesman tells a pretty young businesswoman in a stylish suit the details and characteristics of a new electric car standing at the charging vehicle in the car dealership. Camera follows fashionable businesswoman tourist wearing suit with backpack walking on old street in Venice slow motion. Mature middle aged businesswoman in yellow suit with tablet. Portrait of caucasian woman with modern device indoor, blurred window background. Back view of confident stylish young businesswoman in hat and suit walking along narrow ancient street in Venice, Italy. 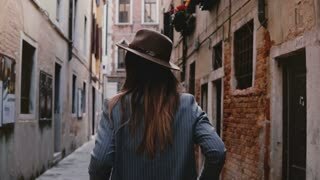 Back view businesswoman with backpack wearing fashionable suit walking along dark street in Venice, Italy slow motion. Middle aged businesswoman with terrible toothache. 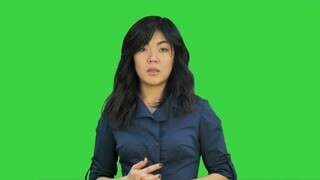 Worried woman in suit feels strong pain in her teeth against blurred windows background. Mature businesswoman rubbing her neck. Mature woman in suit massaging her neck in white isolated background. Businesswoman remembers something and typing on tablet. Woman in suit tapping tablet pc indoor in office. Blurred checkered windows background. Portrait of businesswoman talking on phone in office. Happy cheerful mature middle aged woman in suit indoor against window background. 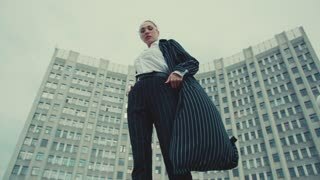 Professional Businesswoman in white Suit with Laptop Walking in the City. Business building in the background. Steadicam Shot. Successful Lifestyle. Classical Dressed. Professional Businesswoman. slow motion of young ginger businesswoman in suit stepping out of elevator. success businesswoman in suit with documents talking on the mobile phone in corridor of office. Serious Business Partners Exiting form the Office Building. Handsome Businessman Buttons up his Classical Jacket. Pretty Young Businesswoman Wearing Suit. Business Relationship. Successful Life.